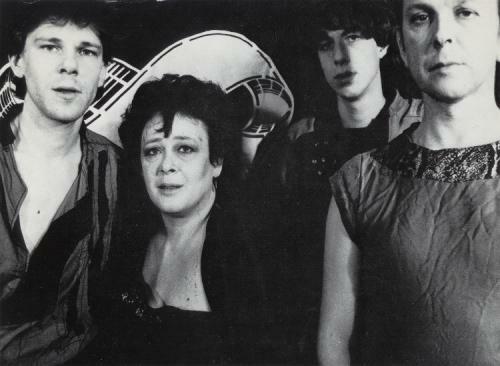 1982 -A new era, with Chris Grace joining on bass, and 3 months writing the material for the ‘Where’s the Pleasure’ album. Recording started at Forest Studios on 12 April and moved to Southern on the 23rd. It was finished on 16 August after much deliberation. Exceptionally well received. A short Dutch tour and gigs around the country, and end the year playing the legendary Zig Zag squat event. April - Signed a recording contract with Illuminated Records, and recorded ‘One Good Reason/Cinnamon Garden’ at the Workhouse Studio for a single release. May - Synth Ethics joins the band as keyboards and vocals, Tom ‘tom’ Barwood takes charge of live sound and Martin Goldschmidt (later to run Cooking Vinyl Records) sorts out business.